Looking for short term hostel accommodation in Wellington? At The Setup Dixon, it’s all about giving you the accommodation you need without the frills. If you’re looking for hostels in Wellington, chances are you’re just after a cheap and cheerful option; clean, comfy and centrally located. Whether you’re travelling solo or with a few mates, we’ve got a space that’s perfect for you. Don’t mind sharing a shower and toiled, but want a little privacy while you change and sleep? This option is the perfect compromise between an exxy hotel room and traditional hostels in Wellington. You’ll have access to other shared facilities such as the kitchen, so you can save even more by cooking your own meals. It’s perfect for any short term stay in Wellington. Don’t mind sharing a shower and toiled, but want a little privacy while you change and sleep? This option is the perfect compromise between an exxy hotel room and traditional hostels in Wellington. You’ll have access to other shared facilities such as the kitchen, so you can save even more by cooking your own meals. Travelling with family or a couple of mates for a special event in Wellington? 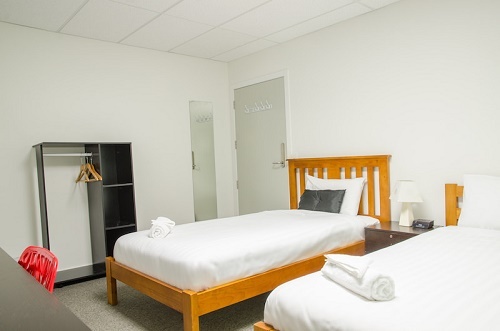 If you’re looking for Wellington hostels where you can chill out in private and enjoy some down time, check out our triple room. From just $31 per person per night, you can get a private room that sleeps three, with room to move – and no awkward fights over top v bottom bunk! For cheap short term accommodation in Wellington, there’s nowhere better than Setup Dixon. Enjoy comfortable accommodation, centrally located at cheap rates. 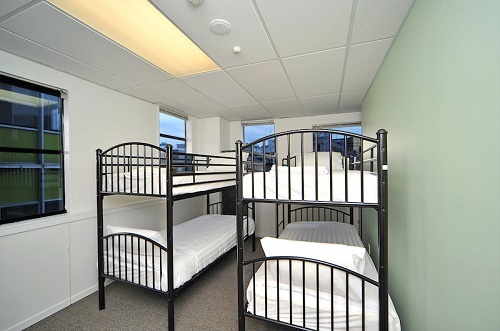 When you’re looking for your next cheap stay in Wellington’s CBD, choose Setup Dixon, we have a room for you. Book online directly through us and save on your stay, all our booking options are available here, it’s the best way to reserve your stay.